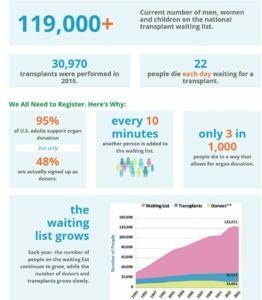 A new start up eGeneis, a life science company from Cambridge, MA is leveraging CRISPR gene editing technology to deliver safe and effective human transplant cells, tissues, and organs to the thousands of people who are in need of transplant organs and tissues. EGenesis, describes itself as a biotechnology company focused on using gene editing technologies like CRIPSR & CAS9 to transform animal organs and tissues into being compatible with human beings. The fundamental concept behind EGenesis, is using genetic editing tech to make xenotransplantation possible. Xenotransplantation as defined by the FDA involves the transplantation of non human cells,tissues,organs and is a field that while highly controlled and regulated is in extreme demand. The genetic editing that will make EGenesis’ xenotransplantation possible holds vast potential and has the possibility of saving and improving a significant number of people’s lives. It is estimated the organ shortages will kill approximately 22 people a day, who will die from lack of suitable organs and replacement tissues. Xenotransplantation ,prior advances in genetic editing tools & technology, was feasible but faced considerable barriers. 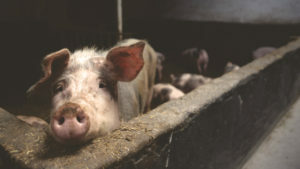 Some of the barriers to xenotransplantation are rooted in two primary issues that it is hoped genetic editing will overcome: primarily t-cell and immunological rejection of organs from primates and pigs, as well as an incompatibility and issues with coagulation dysfunction. To accomplish this goal, eGenesis plans on utilizing a CRISPR-based gene editing platform to deliver safe and effective human transplant-able cells, tissues and organs, which are grown in pigs. The eGenesis approach is still in its early stages, but includes genomic engineering pig cells, organ maturation and finally, successful organ transplantation.